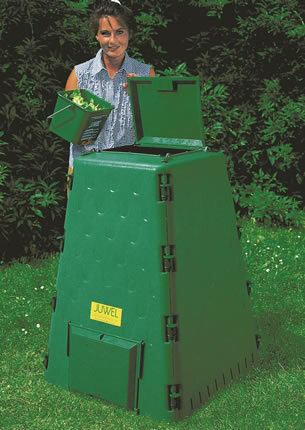 Get Me Prepared.Com is proud to offer the AeroQuick line of compost bins by Juwel of Austria. These durable and attractive compost bins feature a unique wall panel design which allows air to continuously flow upwards along all 4 side panels. You never again have to make time to turn your compost pile. Nourish your garden without the use of harmful pesticides and chemicals. 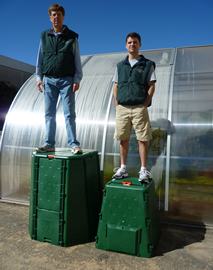 Pictured on left is the medium size 110 gallon bin. Click the image below to learn more about AeroQuick's unique ventilation system. *Please check with us to be sure the price has not changed as the dollar is not as strong against the Euro as in the past. Shipping is not included. Please call for quote.